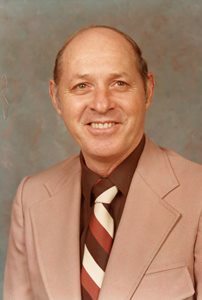 Robert Lee Townsend, age 87, of Leoma, TN passed away Monday, April 08, 2019 at NHC Healthcare of Pulaski. He was a native of Minor Hill, TN, a farmer, retired teacher from Limestone County, AL, and attended Main Street Baptist Church. He was also a member of the Giles County School Board for several years. Mr. Townsend served his country honorably in the U.S. Army. He was preceded in death by his parents, Robert and Viva Lee Kincaid Townsend. Surviving are wife, Sharon Morris Townsend of Leoma, TN; son, Bobby Townsend of Pulaski, TN; daughter, Cathy Laxson of Pulaski, TN; 6 grandchildren, Jackson Townsend, Parker Townsend, Morgan Townsend, Whitt Laxson, Meredith Garvin, and Courtney Fay; and 4 great-grandchildren. Arrangements are being handled by Neal Funeral Home, 231 N. Military Avenue, Lawrenceburg, Tennessee. The family will receive friends from 4:00 PM to 8:00 PM Thursday, April 11, 2019 at Neal Funeral Home. Funeral services will be conducted at Neal Funeral Home at 1:00 PM Friday, April 12, 2019, with Thomas Mattox officiating. Interment will follow at Center Point Methodist Cemetery in Lawrence County, TN with military honors. Family suggests memorials be made to Center Point Methodist Cemetery Fund.